Just received this today. Mine has two back covers as well as the inverted pages. Will it increase the value? I wonder how rare this error is? John, as indicated in the original post (see above) half the pages and cover are inverted - the book can be read from both ends. But if yours has two 'back covers' the same, and inverted pages please send pictures so that they can be added here. Sounds intriguing. 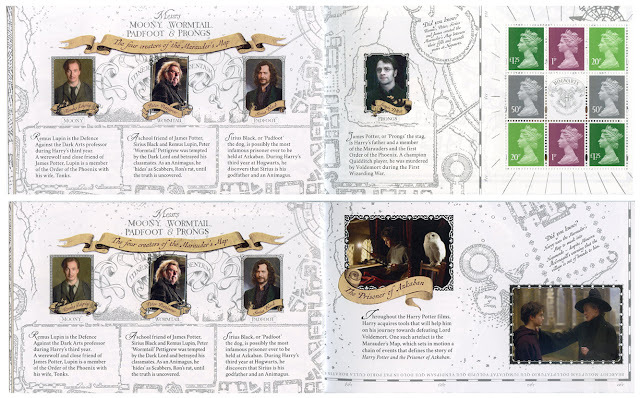 Looking back at your original post on this Prestige stamp book I hadn't followed that the inversion was a deliberate plan, with the facing pages at the inversion featuring Harry Potter and Severus Snape. That is where the inversion happens in my copy. The only error with mine is that it has two back covers featuring 'The Marauder's Map'. It wasn't well publicised by should be obvious from the covers. I'd still be interested in a picture of your doubled cover. 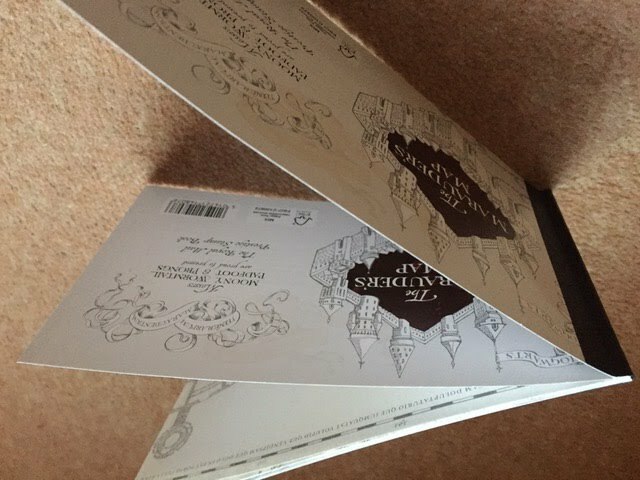 I've put a link in the post now to earlier reports and pictures including another double cover, which was a really thick one!